Nevsky (North-West Agricultural Research Institute). 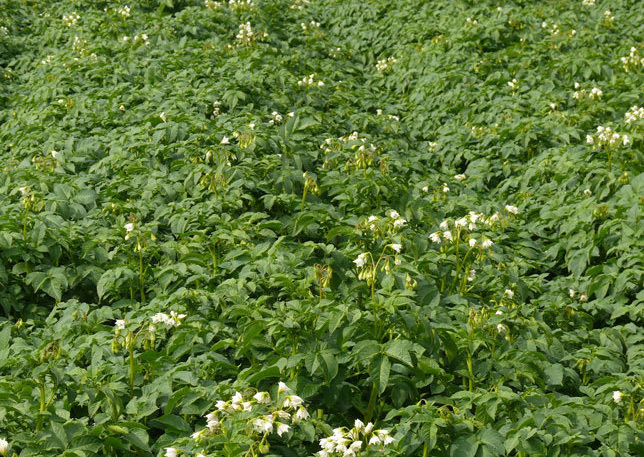 Middle-early seed potato sort for table use. Storability: good though there is early tuber sprouting in case the storage temperature is not low enough. 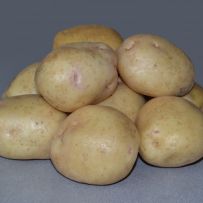 Starch content: 10.3 — 13.3%. Stable to the potato wart disease. Above-the-average degree of potato blight affection. Low degree of affection by virus diseases. Above-the-average degree of normal scab affection (just like the standard one). Potato sprouts breakage before planting is harmful for this sort. 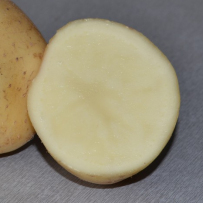 The multiple tests conducted during several years revealed that this potato sort has the highest yield among all the other sorts planted in Russia. 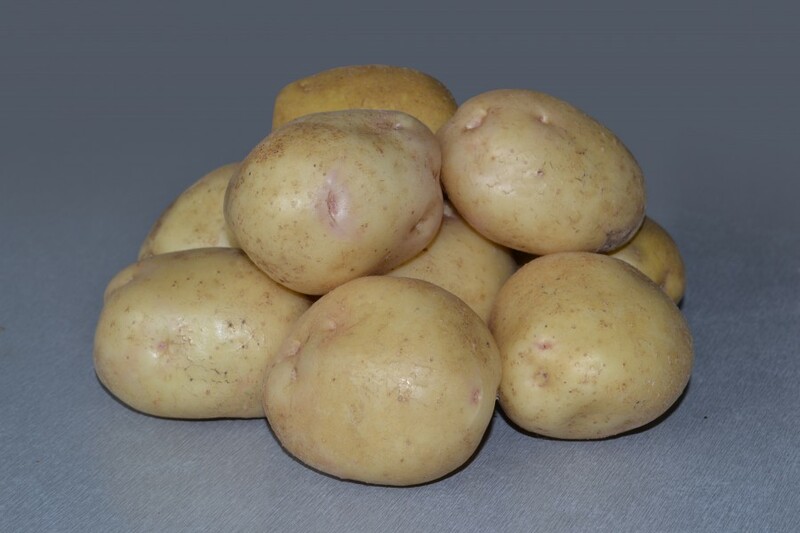 Its yield value is almost the same as the yield value of the best potato sorts of Netherlands. This sort provides stable harvest in various agro-climatic areas. 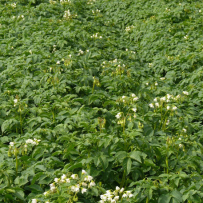 Potato sprouts breakage before planting is harmful for this sort. 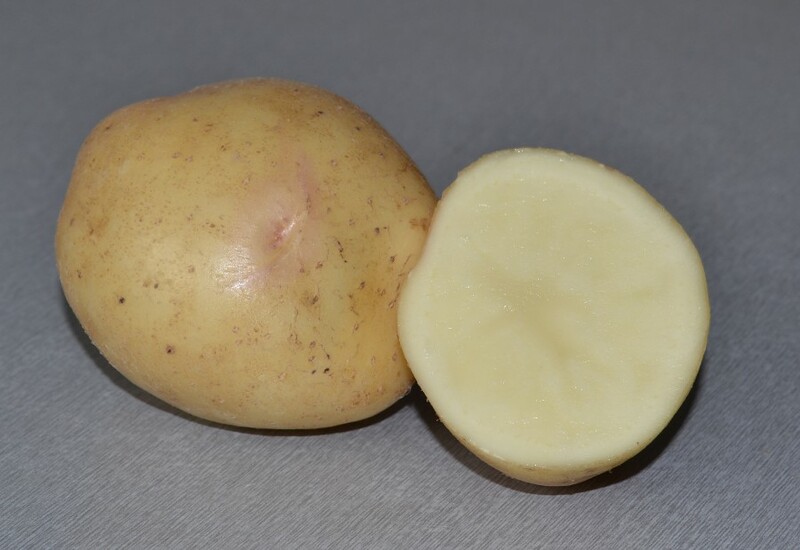 It is not recommended to plant this potato into cold ground or plant it just after it is removed from the cold storage facility. In order to avoid scab affection it is recommended to maintain a relevant humidity level in the ground after tuber formation has begun.